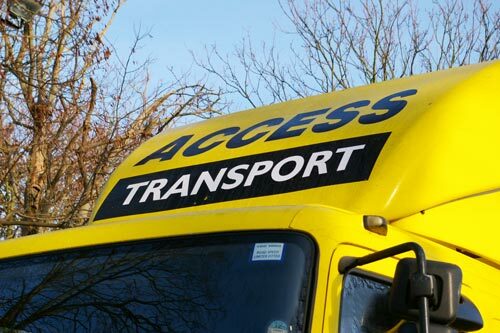 Established in 1995 Access Transport offer domestic removals and storage solutions from their offices in Banstead to clients in Surrey, South London and Middlesex. Since that time Access Transport has become one of the largest family run, independent removal companies in Surrey, Middlesex and London. Access Transport run eight vehicles of varying sizes, the staff are uniformed and Access carry full public liability insurance. I would like to say thank you to you and your team. They were professional both on collecting our furniture on the 28th in Kingston and bringing our furniture to Norfolk on Friday 29th.despite the problems they encountered. They arrived and worked hard on both day’s and I have recommended you to a friend who is moving in Kingston to Ham. I am sorry for the delay in writing but we have only just found the computer in all the boxes! Reference our move from Sunbury to Shoreham on Friday 13th June i would just like to say how pleased i was with your removal team, they were superb and i would happily recommend your company to others. Just wanted to say a big thank you to the Access team for handling our removal last Friday/Saturday. The whole team has been brilliant: really efficient, nice & helpful. A special thanks to Craig who really impressed us with his packing & organisation skills! We are very satisfied with the overall service and will happily recommend your company to any friend/relative should they want to move. Just wanted to drop you a line to say thank you for fitting us in on Saturday. The team of guys you sent were amazing. They worked so hard and made the move completely stress free – can you pass my thanks on to them? If I ever need to move again (which hopefully won’t be for a while) I will certainly use your company again. Very impressed with the removal team of Martin & Dan on my move last Friday (8th March). They were friendly, hard working and most helpful. Please extend thanks on my behalf. Have also been impressed by all contacts I have had with Access Transport staff. Have done so already and will gladly recommend your removal services to any future acquaintances. Please can you pass on our thanks to the 3 men who moved Mrs Ramsey from Surbiton to Haywards Heath. They were on time, courteous, efficient and quick. Nothing was any trouble to them and it made what is always a stressful time that much easier. Just found time after the successful move last week to drop you a quick note to say a big thank you to the team for their excellent help and service – first class. They were very efficient, courteous and professional. Thank you to everyone involved – Darren, Andrew and Frank. Great job! Once again, thanks so much for all your help and the help from Ricardo and the other guys. Splendid job done by all. It was a nightmare move and I was very impressed by the patience you all showed during the disruptions. I will certainly recommend you to others planning to move.